As my father-in-law invited us to dinner for celebrating Chinese New Year, I realized that there is one part of our family’s cultural heritage that I have paid little thought to. As we live in Germany it is quite clear that Birdy will get to know German customs and festivals. And I will certainly do my best to introduce her to Latvian celebrations and traditions. But are we also going to pass on Chinese traditions to our little one? Our family might be just 1/4 Chinese but Birdy does have a Chinese last name as well as a Chinese second name. Thus, it is quite likely that there will be times in her life when she will be identified as Asian even though, essentially, she is more Latvian than Chinese. But, if we want to introduce her to the Chinese part of her heritage, how should we go about it? Chinese New Year, also known as the Lunar New Year or the Spring Festival, is the most important holiday in China and lasts for 15 days. 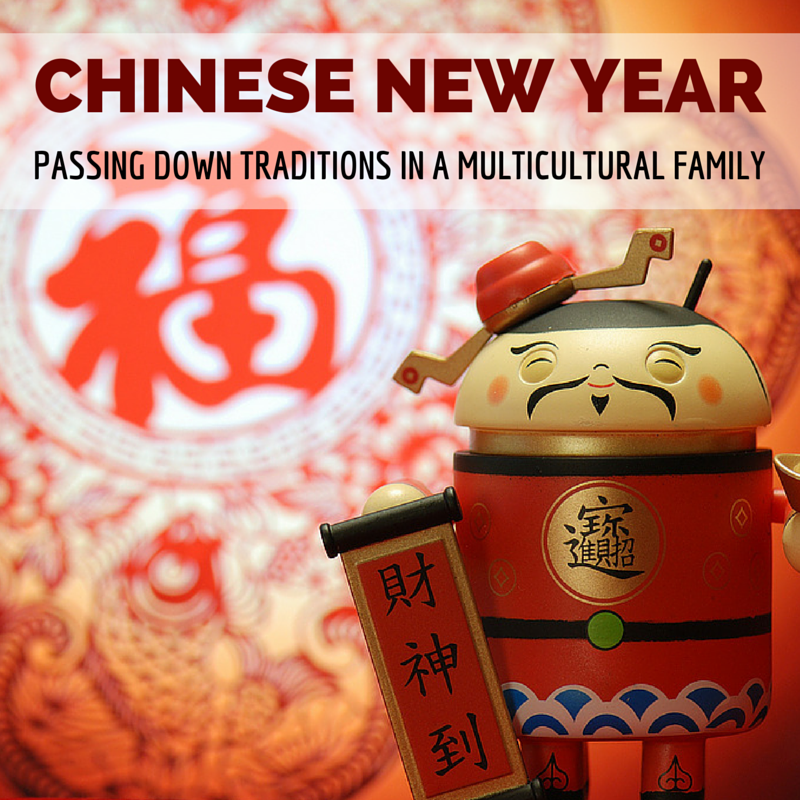 It is also celebrated in other parts of East Asia, not to mention any city on the planet that has a Chinatown. The celebrations of Chinese New Year conjure images of blazing fireworks, colorful parades with magnificent dragons, bright lanterns, lavish meals, crowds of merry people, and the colors of red and gold everywhere. But these festive images have little to do with the New Year celebrations that hubby has grown up with and that I have experienced these past few years. Our Chinese New Year means the family getting together for a more elaborate version of the weekly dinner at my in-laws. We have a delicious meal and receive a red envelope during the course of the evening, but the things we do are largely untied to the traditions and symbolism of the New Year celebrations in China. As Birdy grows bigger we can try to introduce her to Chinese festivities, going above and beyond that what hubby has experienced growing up. But how do we begin? Customs and traditions are different from region to region and change in the course of time. Do we teach her the heritage of the Cantonese region the family originally comes from? Or should we stick to that what is done among the Malaysian Chinese nowadays? Or perhaps in the small Chinese community here in Hamburg? To cut a long story short, what I am wondering about is this: if we introduce Chinese traditions that my husband never had growing up, can it be seen as a true passing down of cultural heritage? Kids have a way of making us want to “pass something along” and sometimes that can trigger us to get back or in this case “get in ” touch with something about ourselves that perhaps we hadn’t explored before, how much fun with it be for your husband to discover things about his own heritage along the way and discover it with his family? Sounds like it could be the start of a great addition to your family, I say if you have a community near you just get In there! Similarly, I have introduced traditions into Aiden’s life from my childhood that I have only really seen within the culture of my family unit rather than any ethnic or national culture. Additionally, we try to do many different things that are unique only here in Augusta or that grab our interest, like now we have a tradition that we go to the Art in the Heart festival here or we do the same fundraising events every year that I didn’t do while growing up but that are important to us as a family now because of life experiences. I guess some of it isn’t just about what you want to “pass down” about cultures, but how much you also want to make your own traditions or learn about other ones and expose her to (as well as yourselves) in the course of making fun family memories and still keeping the idea of learning alive. Even if you try it once and decide it isn’t for you, there is still a memorable experience and learning that was gained. And you show her that lifelong learning and openness to new ideas, traditions, cultures and events is what is most important.